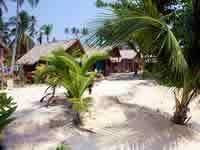 Pictures from Bungalow Resorts on Ko Mak (also Ko Maak) in Thailand. 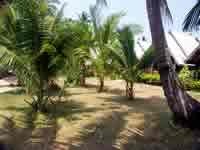 www.KoChangHotelsVR.com - Virtual Reality (VR), Panorama Pictures, Photos and Information. Your Browser can't show embedded Frames: You can't see the navigation with the links to the other pages about Ko Mak. Please go to these pages by using the navigation on the left side above! 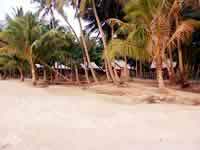 The first bungalows for tourists were built in 1974 in Aow Nid at the east coast of Ko Mak, but in these days only Thai tourists found their way to the island. 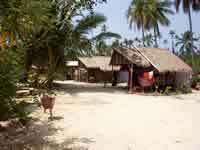 Because of the poor infrastructure and the difficult journey, tourism increased slowly on Ko Mak. 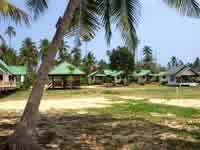 In 1987, when the first Farangs (westerners) came to Ko Chang, more bungalowresorts were built at the 2 main beaches on Ko Mak, "Suan Yai Beach” in the west and "Khao Beach” in the south. 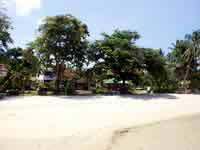 At the present there are about 4 to 5 bungalow resorts at the west coast, more than 10 at the south coast and even 5 resorts at the east coast. 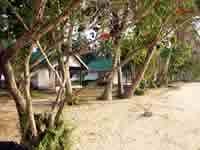 In May 2005 there were no hotels on Ko Mak and we expect that it will be like this for some more years. 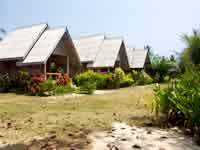 The prices for the bungalows are between 200 Baht and up to 10,000 Baht, so everybody can chose the standard they require. 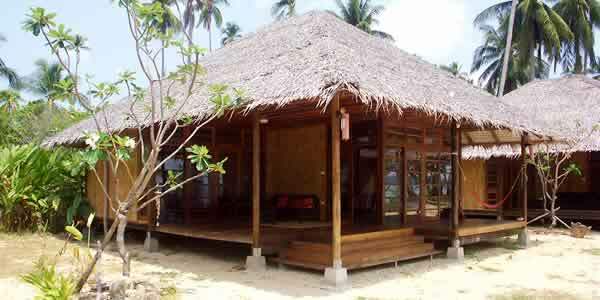 The cheaper huts are only equipped with fans and shared toilets. 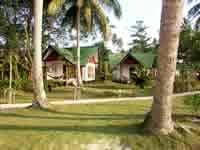 The bungalows starting from about 500 Baht already have their own toilets and bathrooms. 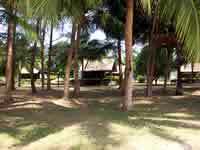 The expensive bungalows are equipped with air conditioning, hot water and some of them even have a refrigerator and television. 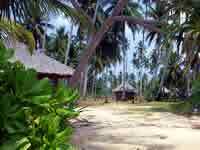 Because there are still more Thais coming to Ko Mak, the bungalow resort owners only slowly prepare their bungalows for western Tourists. 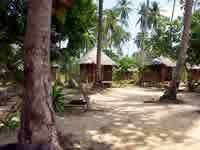 There are still a lot of huts with 2, 3 or more double beds or mattresses, so even big Thai families with 10 or more members can easily sleep in one bungalow. 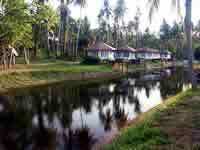 But the later built bungalows are mostly equipped with one double bed or two single beds. so we are not able to give further information about the individual accommodations!